Dhaka, 12 June, Abnews: Prime Minister Sheikh Hasina left here for home completing her four-day official visit to Canada to attend the Outreach Leaders Programme of the G7, the group of seven countries with advanced economies in the world. An Emirates flight carrying the Prime Minister and her entourage took off from Toronto Pearson International Airport at 3pm on Wednesday (local time), reports the UNB. 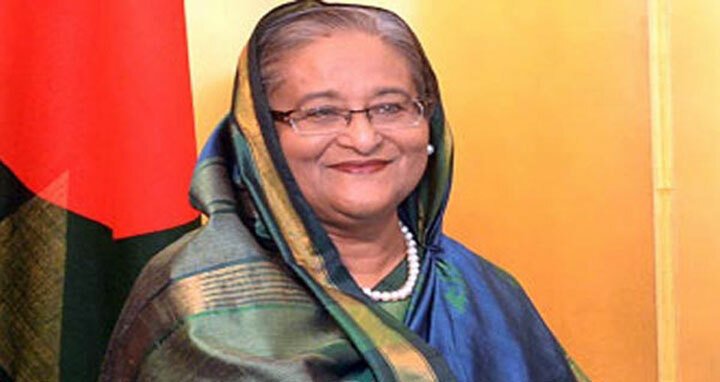 On her way back to Dhaka, the Prime Minister will make a stopover in Dubai. The flight carrying the Prime Minister is scheduled to reach Hazrat Shahjalal International Airport at 11:20pm on Tuesday (local time). Apart from joining the G7 outreach summit, Sheikh Hasina had a meeting with her Canadian counterpart Justin Trudeau and attend a reception organised by Canadian expatriate Bangladeshis. The Canadian Prime Minister invited 12 world leaders, including Sheikh Hasina, to take part in a special outreach session of the G7 Summit. The G7 consists of Canada, France, Germany, Italy, Japan, the United Kingdom, and the United States.